Here are some facts about the River Derwent. The River Derwent is 106 km long, and flows entirely in the county of Derbyshire. Half of its course is within the beautiful Peak District National Park. England has three other Derwent Rivers, and there is one in Tasmania, Australia. The name probably comes from an ancient Celtic word meaning ‘belonging to a forest of oak trees’. Its source is at Swains Greave, near the market town of Glossop and near the 633 metre high summit of Bleaklow Head. The Derwent joins the River Trent near Derby. 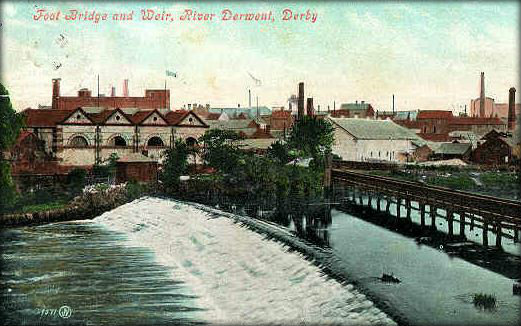 The River Derwent played an important part in the Industrial Revolution. It provided the power for cotton and textile mills, including the first one powered by water, Cromford Mill. A 25 km stretch of the River Derwent is now a heritage site, commemorating the many mills there. Several of these can be visited, as well as cottages in Cromford, built for the mill workers. 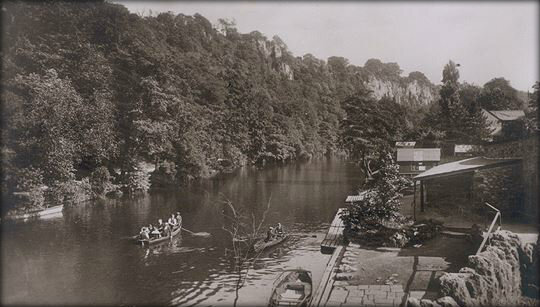 The popular resort and spa town of Matlock Bath lies on the river. The steep hills known as the Heights of Abraham overlook the river and town and provide wonderful views. Derby on the River Derwent, is one of the places furthest from the sea in England. During the 17th and 18th centuries, it was an important manufacturing centre and railway hub. In Calver, a pretty 18th century bridge crosses the River Derwent. Calver Mill was built in 1805 and was used as a stand in for Colditz Castle, in the television series Colditz. In the early 20th century, three reservoirs were built along the river, to supply water to Derby, Sheffield and Nottingham. 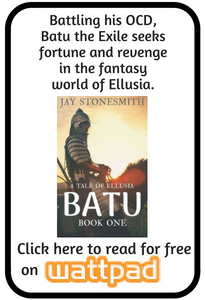 Two villages were destroyed to create the lakes. The upper stretch of the river is similar to the River Ruhr valley in Germany. During World War II, the Dambusters squadron practised using their so-called bouncing bombs on the River Derwent.